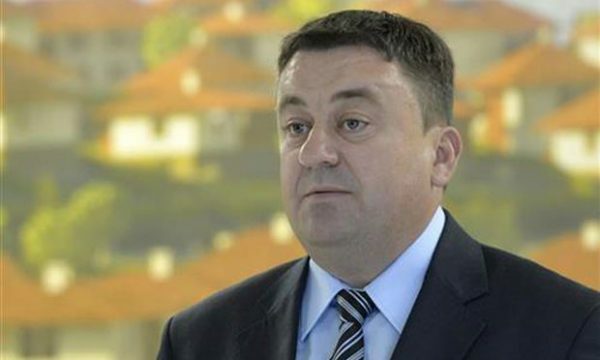 The Kosovo Special Prosecutor’s Office has opened an investigation into the recently dismissed Minister of Local Government Administration from the ranks of Srpska Lista, Ivan Todosijevic, Pristina-based Gazeta Express reported. This news arrives on the same day as the news on the appointment of the current head of the municipal administration of North Mitrovica, Adriana Hodzic as the new Minister of Local Government Administration. “There is no basis to open an investigation, Todosijevic is protected by immunity for all verbal crimes, and besides, this investigation threatens to seriously jeopardize freedom of speech,” lawyer Nebojsa Vlajic emphasized. The spokesperson for the Special Prosecutor’s Office, Ekrem Lutfiu confirmed the news on the investigation for Gazeta Express. „We would like to inform you that the Special Prosecutor’s Office of the Republic of Kosovo has initiated proceedings against the former Minister of Local Self-Government, I. T. in relation to his statements. The Special Prosecution is now in the process of gathering information on this issue,“ said Lutfiu. The Prime Minister dismissed Todosijevic on Tuesday because of his “hate speech,” as Haradinaj claimed, during a ceremony marking the 20th anniversary of the NATO bombing held in Zvecan. „The cause of the aggression on our country was a so-called humanitarian catastrophe in the territory of Kosovo and Metohija, the fictitious Racak, and these Shiptar terrorists were the ones who invented it, who committed the biggest atrocities in Kosovo and Metohija for which no one was held responsible. They committed crimes before the NATO aggression, killed good Serbian hosts in their workplaces. They continued their murderous rampage during the aggression and even after the arrival of the so-called peacekeeping mission in Kosovo and Metohija“ – Todosijevic said during the ceremony, which was the initial reason behind his dismissal. The former Kosovo Deputy Justice Minister, Vesna Mikic was dismissed earlier for having a similar attitude about the NATO bombing. The drafting of this law was proposed by the Deputy Prime Minister of Kosovo, Enver Hoxhaj. „The discourse of the politicians of Srpska Lista on war victims in Kosovo with which they try to hide the truth and deny the crimes Serbia committed against the civilian population in Kosovo is unacceptable. The case of former Minister Todosijevic is not the first. There have been cases during the years when such things arrived from members of the government from the ranks of Srpska Lista, statements which were later backed by Serbian President Aleksandar Vucic and other members of the Serbian government. Such statements and attempts cannot be tolerated,“ Hoxhaj said during a session of the Kosovo government. „For that reason, I believe that we need to take the necessary steps to regulate the bases for punishing those who deny Serbia’s crimes / genocide in Kosovo,“ Hoxhaj explained. The drafting of this law was condemned by Serbian officials, including the head of the Kosovo Office, Marko Djuric. „The announcement of the introduction of verbal delict in Kosovo and Metohija in the 21st century is a cynical game of Shiptar war criminals and terrorists, who can be found in provisional institutions in Pristina,“ Djuric said. Lawyer Nebojsa Vlajic told KoSSev that there is no basis to open an investigation against the former minister, since Todosijevic, at the time he made the controversial statement, was a public office official and as such is protected by immunity for all verbal crimes. „Public office officials, primarily deputies and ministers, have or need to have immunity for all verbal crimes, that is, for what they say. They cannot commit verbal crimes because they have this type of legal immunity,“ Nebojsa Vlajic said. Vlajic added that this investigation threatens to jeopardize freedom of speech and that until the announced changes to the legislation occur, there is no basis to punish either Todosijevic or anyone else. “Of course they are jeopardizing freedom of speech, if a minister is brought to trial for that, then no one can say anything like that. And until they pass the Law on the Prohibition of Denial of Crime, they cannot punish people for that,“ Vlajic claims.